The deck features 100% original art: faces, backs, court carts, box, and even the pips. Exquisite attention to detail. Every little detail has been painstakingly designed to ensure that each deck is truly a work of art. 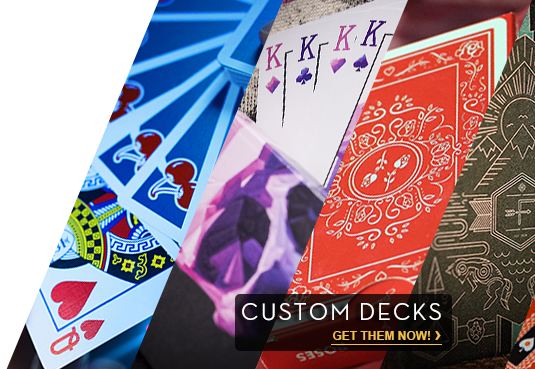 Whether you're a Cardist, Collector, Magician or just want a high quality deck for your poker games, Ritual is a deck that is sure to offer durability, tradition, and elegance.